Home › News › Compositor v3 Has Arrived! The long awaited new version of moirai Compositor is now available! This includes many highly-anticipated features, like full previews, support for very large numbers of images, an enhanced user interface and more. Existing customers can upgrade at a reduced price. 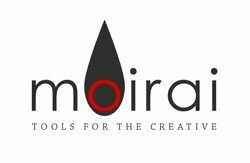 Check out the moirai Compositor product page for more details!